We would like to invite you to take a few minutes to meet and get to know our wonderful staff. 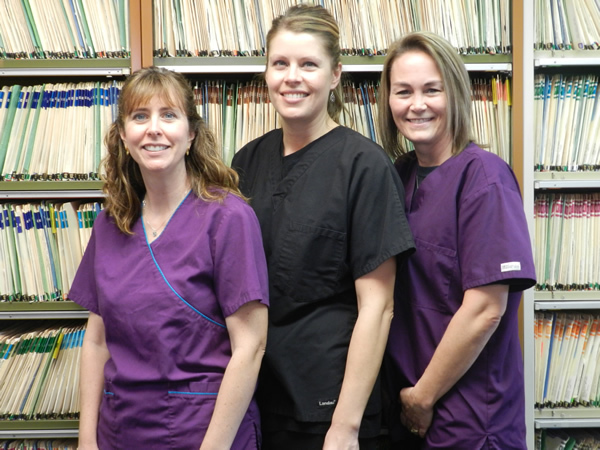 Years and years of combined experience have been so valuable in helping meet the needs of all of our patients. Our receptionist, Barrie, has been with the practice since 1999. She was born and raised in New Jersey, and moved to Minnesota 39 years ago. Her daughter, son-in-law, and two grand-children are very dear to her, and are a big part of her life away from the office. Barrie enjoys numerous outdoor activities, especially watching sporting events. Her sense of humor and kindness help create a wonderful office environment for patients and staff members alike. She's truly one of a kind, and we are very lucky to have her on board. Our office administrator, Kelly, has been with us since 2001. Kelly graduated with a Bachelors Degree in Accounting from the University of Minnesota, Duluth. She and her husband, Anthony, along with their two beautiful daughters, enjoy boating, fishing, hockey, basketball, and just spending time together. Kelly is extremely capable of assisting patients with all of those confusing, and difficult to understand, insurance and financial matters. This is done without any unnecessary stress or pressure. She's here to help, and we truly appreciate her as a member of our "office family". 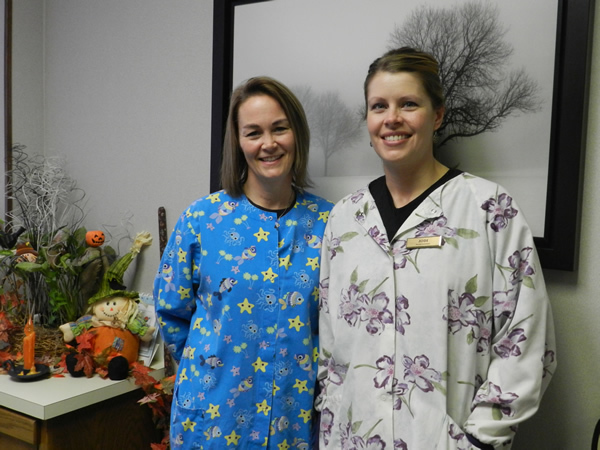 We have two excellent dental hygienists on staff. Both of which have been with us for over 10 years, and have developed very personal relationships with their respective patients. Christine received her Dental Hygiene Degree from Century College with high honors, in 1999, and joined our practice shortly thereafter. She and her husband, Steve, along with their three very active daughters, enjoy working with Aussie Rescue of Minnesota, fostering rescued Australian Shepherds. 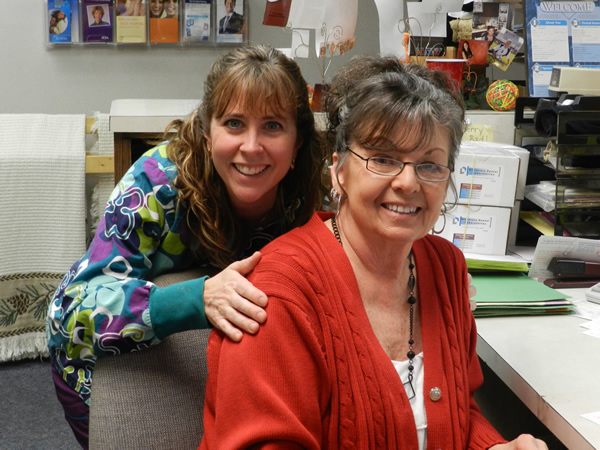 At work, Christine truly excels at developing interpersonal relationships with the patients she takes care of. She's fun to visit with, and anyone can tell she really enjoys her profession. Paige has been with us since 2001. She holds a Bachelors Degree in Biology/Chemistry from Bemidji State University, and graduated from the University of Minnesota School of Dental Hygiene, with top honors in her class. She and her husband, Paul, have two wonderful daughters. She enjoys snowmobiling, scrap booking, gardening, and running with their German shepherd, Quincy. Paige is a gem! She's an excellent clinician, who truly cares for her patients overall oral health. We're very proud to have her with us. Last, but not least, we have two chair side dental assistants. 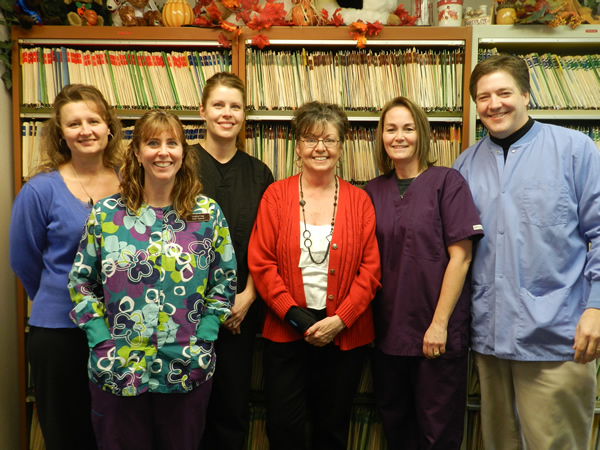 Jodi has been with the practice since 2005. She received her CRDA certificate from the Concorde Career Institute in Minneapolis. Jodi works chair side with Dr. Bender two days per week. She spends the remainder of her work week with her husband, Kirby, at their family owned auto shop in Blaine. Jodi and Kirby have two lovely daughters, and enjoy camping, boating, scrap booking, movies, and especially shopping. Jodi always seems to be wearing a smile, and is very effective in helping create a positive dental experience. 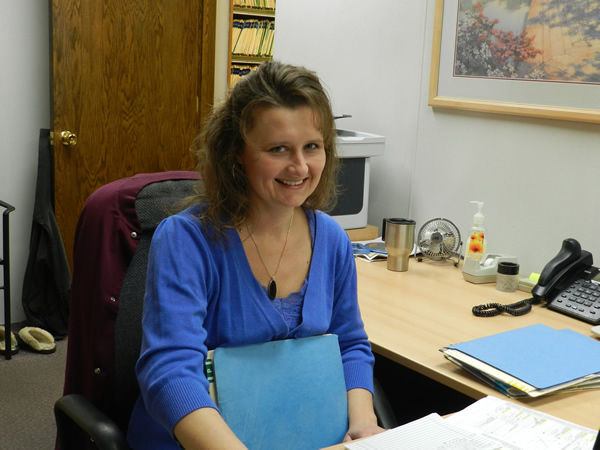 Our newest assistant, Tammy, joined our staff in the summer of2012. Tammy received her CRDA certificate from the Concorde Career Institute. Though she has over 14 years of assisting experience, she did spend the last nine years staying at home to raise her two lovely daughters, one of which has followed her mother's footsteps, and has become a dental assistant herself. Tammy and her husband, Tom, enjoy movies, camping, 4-wheeling, and just about any activity outdoors. She's been a wonderful addition to our staff, and exhibits a genuine interest in the well-being of each and every new patient she meets. Our entire staff is here to help. 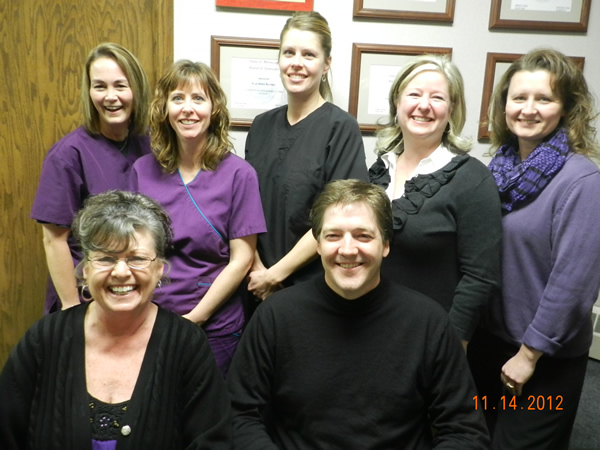 If there is anything we can do to make your dental experience go more smoothly, please do not hesitate to ask.